Yangon (formerly known as Rangoon) is no longer the capital of Burma (Myanmar) but it is still the country’s largest city. Not much known as an international travel destination the city has become more popular in recent years when openings were made and tourism and business travel picked up. The city isn’t loaded with nightlife like nearby Bangkok but it is home to numerous entertainment venues for adults. Yangon isn’t gigantic but it is a large city. Perhaps due to the absence in visitors in the past there are not many hotels around and those that do exist tend to charge more than one might expect. The policies of these hotels are a mixed bag. Some don’t allow customers to bring visitors to their rooms at all. 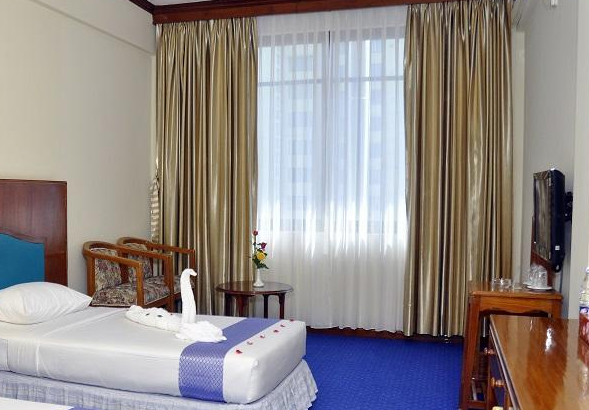 Other limit the number of visitors to one at a time or may even charge a “joiner fee.” The following is a list of good hotels in Yangon that have reasonable prices and allow customers to bring visitors to their rooms. 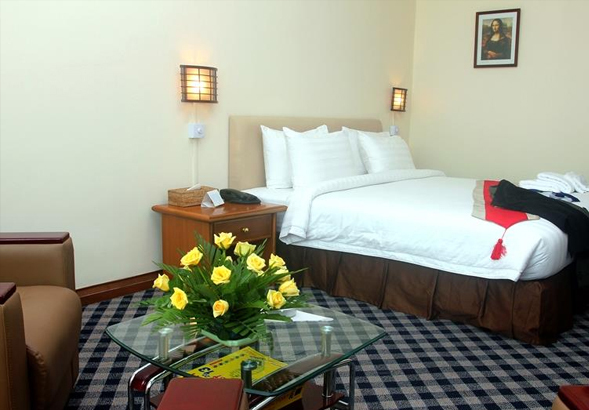 The Hotel Grand United 21st Downtown is one of the best guest friendly hotels in Yangon. Most all taxi drivers know the place. It’s centrally located on 21st Street and in walking distance of parks, shopping, restaurants, taxi stands and the nightlife district where places like Emperor are located. Wi-Fi internet is reliable and has a strong signal through the building. The rooms are newly renovated, clean and nice. The hotel is completely guest friendly. The entrance is manned by a security guard who will hold the ID card of any visitors who enter with a guest. They can retrieve their ID cards on the way out. This hotel is not to be confused with the Hotel Grand United Chinatown located just around the corner. That hotel is nice and also has a guest friendly policy but it is slightly more expensive. There is also a Hotel Grand United Ahlone but it is far from everything. I’ve previously written a full review of the Grand United 21st. 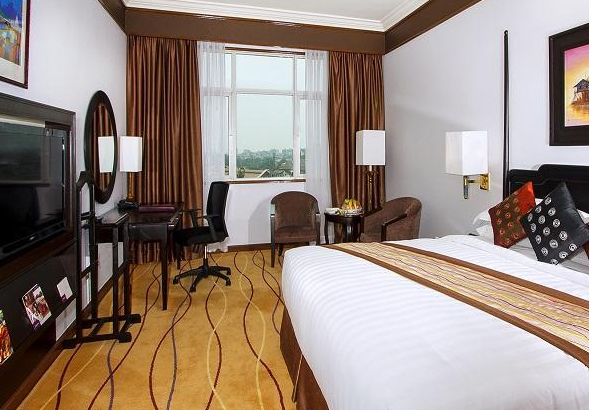 The place has some of the most reasonable prices in the area but the best rate can only be guaranteed by booking a room at the Hotel Grand United 21st online before arrival. The Sule Shangri-La, formerly called the Trader’s Hotel, is one of the most well known and popular guest friendly hotels in all of Yangon. Although it is a bit on the expensive side the hotel has long been a go to place for single travelers to stay. It is centrally located only a short walk from the aforementioned Grand United 21st, close to tourist sites and the downtown entertainment district. Every taxi knows the place and the rooms are nice even though the place might not quite compare with some 5 star hotels in other countries. The Shangri-La is guest friendly though guests who bring visitors to their rooms will often be asked to stop at the front desk to sign them in. A stay at this hotel is never cheap but deals can be found at time. The only way to get the best price is to book a room at the Sule Shangri-La online in advance. 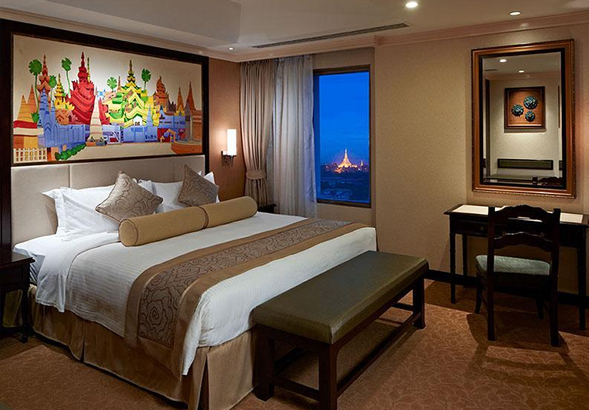 The Park Royal Hotel, sometimes stylized the PARKROYAL, is one of the nicest hotels in Yangon. While it’s not as centrally located as some of the other places on this list it is situated nicely downtown and there are always taxis waiting to take customers anywhere they’d like to go in town for a few dollars. As one of the better places the hotel has some security measures in place that require everyone entering to pass through a metal detector though there is no problem with guests bringing visitors to their rooms. The rooms themselves are very nice which makes sense since the Park Royal is a five star hotel with slightly more expensive rooms. Wi-Fi is good through the building. The hotel has its own gym that includes a massage center where very good rub downs are delivered by a mostly attractive female staff. On the ground floor there is a large bar with private seating and a jumbo screen for sports that a handful of local women visit nightly in hopes of finding a friend. Rooms at the hotel are not inexpensive but deals can found at time. The only way to ensure the best possible price is to book a stay at Park Royal Hotel online before arrival. 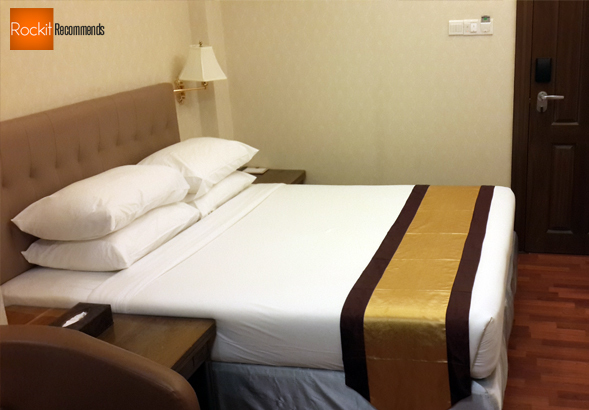 The Asia Plaza Hotel is a decent three star hotel that is also centrally located in Downtown Yangoon. The rooms are nice and the place is competitive with the similarly priced Grand United 21st which is nice when one is need of some options. Although the city is not necessarily a world renown tourist hub it does get its share of visitors and the few hotels around town can fill up. The Wi-Fi is good and covers all the rooms. The staff is attentive even if some of them struggle to speak English. I find it hard to imagine that anyone would have problems and the customer reviews I’ve seen online seem to back that up. The only way to guarantee a room at the best price possible is to book a stay at the Asia Plaza Hotel online before showing up. This list wouldn’t be complete without at least one “budget option.” There are a handful of cheap hotels around the city but they border on the uninhabitable in my opinion. The Panorama Hotel is a nice three star compromise. Centrally located near Asia Plaza and with all the amenities one would expect the hotel offers its rooms up for a little less than the competition. It’s not the greatest hotel in the world but it’s totally suitable for a stay. Wi-Fi is decent and available for free in every room. The hotel staff is good at what they do. The hotel is also fine with customers bringing visitors back to their rooms. Rooms are reasonably priced most times but in order to lock in the best possible price one must book a stay at the Panorama Hotel online in advance. I can update your prices for the clubs in Yangon. I was there for 4 days in May 2016. JJ – $80 for long time if you haggle and wait until after 11.00 pm. Girls are all asking $80 for short time (some starting at $100). Park Royal – base price is $100 for short time and they start at $150! Emperor Club – by far the best value – lots of girls and not many guts (low season for tourists). There s dross but many pretty girls. Asking price is $80 and I saw $60 accepted for long time by a very sweet 20 year old. It’s a bit dark but the lights come n for the fashion show and the beer is cheap! Thanks for the comment through surely this would be more appropriate on Rockit Reports than this site which is about hotels. Cheers. Not at the moment no. Cheers.